Following a day of social immersion and the opportunity to sound each other out on issues with candid one-on-one talks and a working dinner, Asean’s foreign minister got down to work on Friday (Jan 18) with trade, humanity, and crime key items on the agenda. A gathering of Asean foreign ministers in Chiang Mai, northern Thailand, on Friday signalled that the bloc is no longer prepared to ignore the actions of member states if it damages the image of the collective with external partners, at the same time putting China on notice over the South China Sea. Foreign ministers from Asean’s ten member states have met for the 19th Asean Foreign Ministers’ Retreat (AFMR), with a broad range of topics and views being tabled and canvassed by host nation Thailand. Following a day of social and cultural immersion and one-on-one chats, Asean’s foreign ministers got down to the formal work on Friday (Jan 18) in the Grand Ballroom of the Shangri-La Hotel, Chiang Mai. 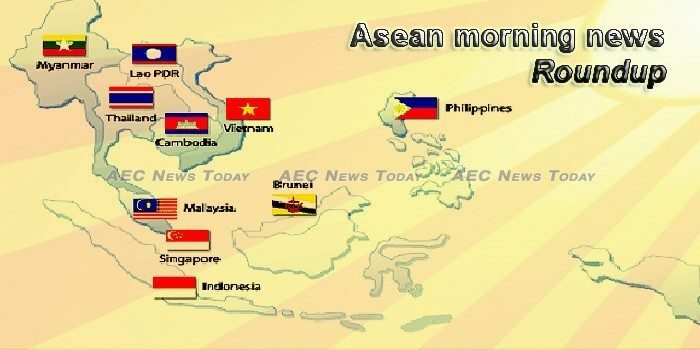 Member states of the Association of Southeast Asian Nations (ASEAN) have agreed to encourage sustainable cooperation as part of the efforts to create stability and prosperity in the region, according to the Indonesian Foreign Ministry. At the 18th Meeting of ASEAN Plus Three Tourism Ministers held on Friday in Vietnam’s northern Quang Ninh province, head of the Chinese delegation gave suggestions on the future development of ASEAN+3 tourism cooperation. International Finance Corporation (IFC), a private equity and venture capital arm of the World Bank Group, is set on climate related investments, with US$20 trillion worth of opportunities in Asia-Pacific and India by 2030. Trade Minister David Parker and 10 of his counterparts have settled on guidelines to let other countries join the CPTPP trade agreement for exporters in the Pacific Rim. The Indonesian government encouraged the completion of the ASEAN concept regarding the Indo-Pacific regional architecture in accordance with the principles and scope of cooperation conveyed by Indonesia. Importers first need to register with the Registry of Companies and Business Names (through the Ministry of Finance) in order to obtain a company registration number. 2019 will mark the tenth anniversary of the first deployment of blockchain technology. It was in 2009 that the still elusive Satoshi Nakamoto released the first version of bitcoin. Southeast Asia, seen as a potential winner from the US-China trade war, is starting to see more sour data, with a string of export reports showing that tensions are weighing heavily on the trade-reliant region. South Korea will continue work on visas so that more people from Asean countries can easily make a visit, said Yu Byungchae, director general of the tourism industry policy bureau at the RoK’s Ministry of Culture, Sports and Tourism. South Korea’s agro-fishery products are gaining popularity in China and Southeast Asia on the back of their reputation for quality, freshness and safety. Over the past decade, the financial services sector in Southeast Asia has seen growth that is nothing short of impressive. The Ministry of Commerce has expressed regret over the EU’s imposed tariff on Cambodian rice; and considers the measure “a weapon to kill Cambodian farmers”. Cambodia’s strongman leader Hun Sen, a battle-hardened veteran of the Khmer Rouge, faces one of the toughest fights of his long political life this week in Brussels. Samdech Akka Moha Sena Padei Techo Hun Sen, Prime Minister of the Kingdom of Cambodia, started today his three-day official visit in China, at the invitation of his Chinese counterpart H.E. Li Keqiang. Bank Indonesia (BI) has recorded that capital inflows into the country totaled Rp 14.57 trillion (US$1.03 billion) in the period from Jan. 1 to Thursday. Indonesian finance minister Sri Mulyani Indrawati says she is prepared to increase taxes on imports to keep the rising trade deficit under control and boost exports amid the potential global slowdown. Indonesia in recent years has registered a steady growth at above 5 percent. Steady investment flows have also allowed Indonesia’s economy to expand at a rapid pace. Economic growth in the Lao PDR is estimated at 6.5 per cent in 2018 down from 6 9 per cent in 2017, in part due to the adverse impact of the recent widespread floods. A Chinese engineering company has completed the closing of the first cast-in-place continuous beam on Saturday. Victims of Xe Pian-Xe Namnoy dam collapse in Laos languish in shelters, staring at an uncertain future. The Inland Revenue Board of Malaysia achieved a new record in direct tax collection last year, with RM13.723 billion collected, which is 11.13% more than the RM123.312 billion collected in 2017, the Ministry of Finance (MoF) said today. Malaysia’s gross domestic product (GDP) is expected to expand by 4.9 per cent in 2019, albeit at a slower rate than last year. Malaysia will become the first country in Asean to produce lithium ion battery in the next 18 months. The value of Myanmar’s maritime trade in the first quarter of the current fiscal year was estimated at US$6.26 billion, an increase of $177 million compared with the corresponding period of the 2017-2018 Fiscal Year, according to data from the Ministry of Commerce. Myanmar is all set to open up its insurance sector. Up to three foreign life insurance companies, that will be allowed to operate under a 100 per cent investment scheme, will receive a provisional licence by the end of March 2019 and they will likely start operations by July, said Thant Sin, director general of the financial regulatory department under the Ministry of Finance and Planning. Authorities have ordered mandatory evacuations in areas prone to floods and landslides, and the suspension of classes in Bicol region, particularly in Camarines Sur and Albay provinces, as Tropical Depression “Amang” approaches the country from the Pacific Ocean. The Philippines’ average inflation last year settled above the 2018 inflation target range, even as price pressures eased during the fourth quarter, the Bangko Sentral ng Pilipinas (BSP) revealed in its latest quarterly report released Friday. SUBSIDIES made by the national government to government-owned and -controlled corporations (GOCCs) and government institutions from January to November 2018 grew by 34.65 percent to P134.471 billion, from the P99.861 billion reported in the same period for 2017, Bureau of the Treasury (BTr) data showed. Dengue cases have increased over the past four weeks, with 455 seen in the first two weeks of this month. This year’s Budget will focus on Singapore’s security and social needs, especially in healthcare and education. Efforts to transform the economy will also continue, Finance Minister Heng Swee Keat said on Sunday (Jan 20). Singapore and Malaysia are “making headway” and communicating over the ongoing maritime and airspace disputes. With air pollution lingering in Bangkok on Sunday and possibly set to worsen on Monday, the head of the Department of Health expressed concern for the health of people who work outdoors such as street vendors, traffic police, road sweepers and tuk-tuk drivers. The total foreign direct investment (FDI) poured into Vietnam’s industrial parks and economic zones in 2018 reached more than US$8.3 billion, according to the Ministry of Planning and Investment. The garment and textile sector was forecast to suffer the most from goods origin regulations under the Comprehensive and Progressive Agreement for Trans-Pacific Partnership (CPTPP), said Bùi Kim Thùy, the country representative for Việt Nam at the US-ASEAN Business Council. Trump administration officials are reportedly planning on going to Vietnam for the next summit between the US president and North Korean leader Kim Jong Un, people familiar with the plans told Bloomberg.